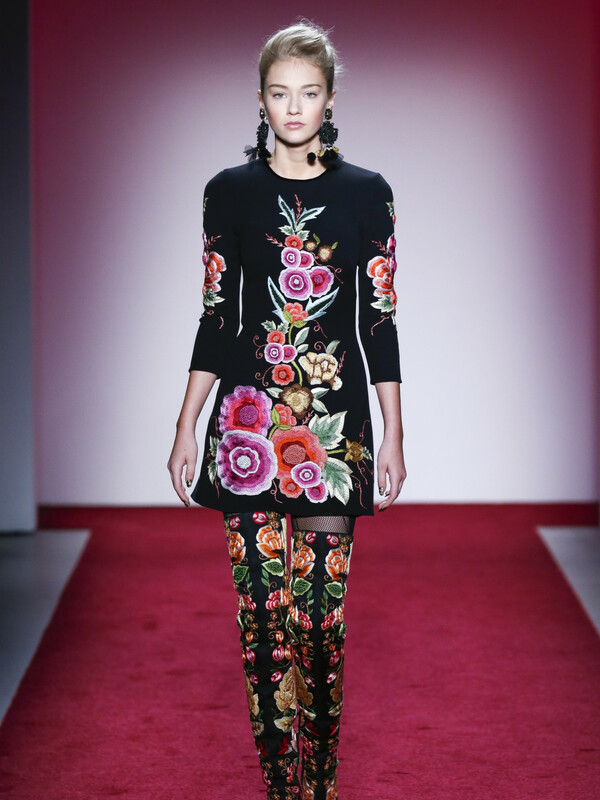 Naeem Khan knows how to put on a show. 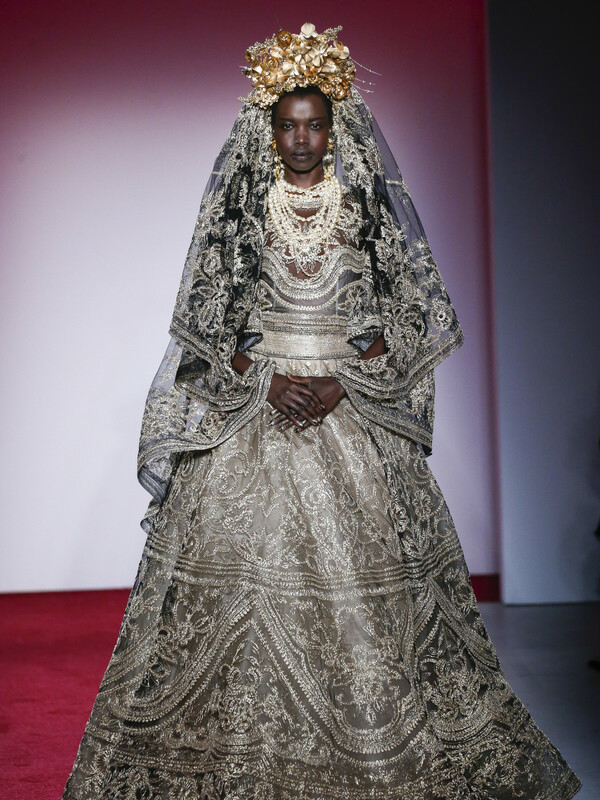 At the end of his fall collection at New York Fashion Week, the designer, a favorite of Houston's social set, sent out a stately model adorned in a dramatic embroidered metallic bridal gown with an ornate headdress. As she moved slowly down the runway, Maya Angelou's poignant poem, Human Family, was read over a loudspeaker. It seemed to be a not-subtle commentary about the Trump administration's immigration policy from Khan, an immigrant from India and a U.S. citizen, and it drew wild applause from the audience. 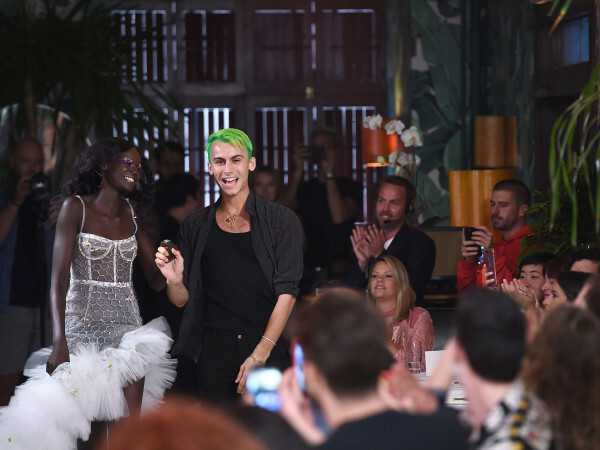 The rest of his collection is not nearly so serious though, as it ranges from upscale athleisure wear — stretch velvet drawstring pants, midriff-baring beaded T-shirts — to full-on sequined ball gowns. 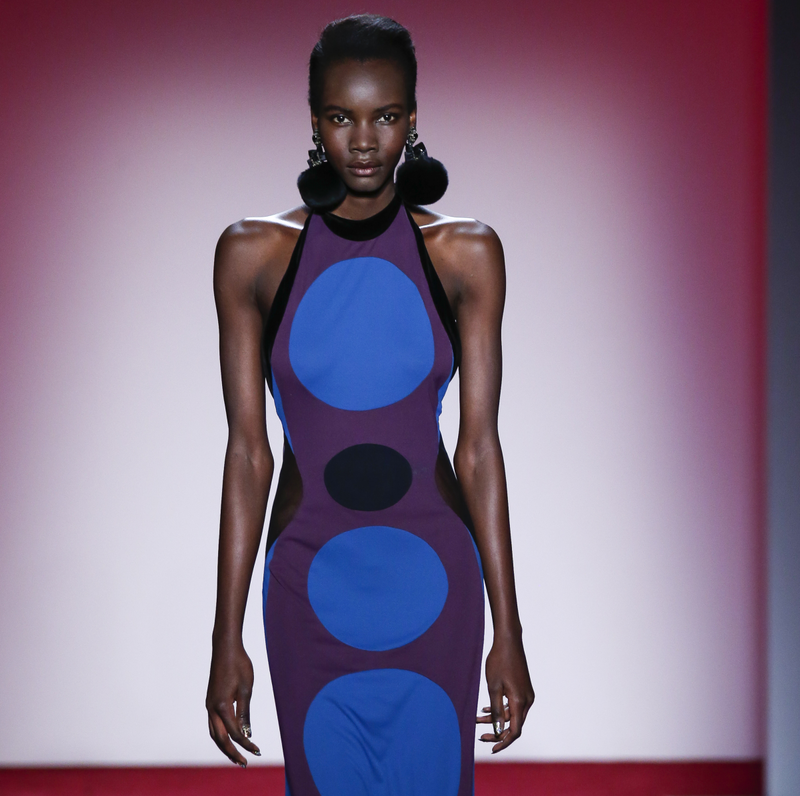 Khan labeled the collection "in the spirit of women I have met and the life I have traveled." He obviously travels in high-flying circles as the luxe line includes elaborated embroidered floral dresses, jackets and matching pants, party dresses dripping in fringe, and his trademark evening gowns, which range from a jersey race-cut number with a bold op-art print to glittery deco designs. 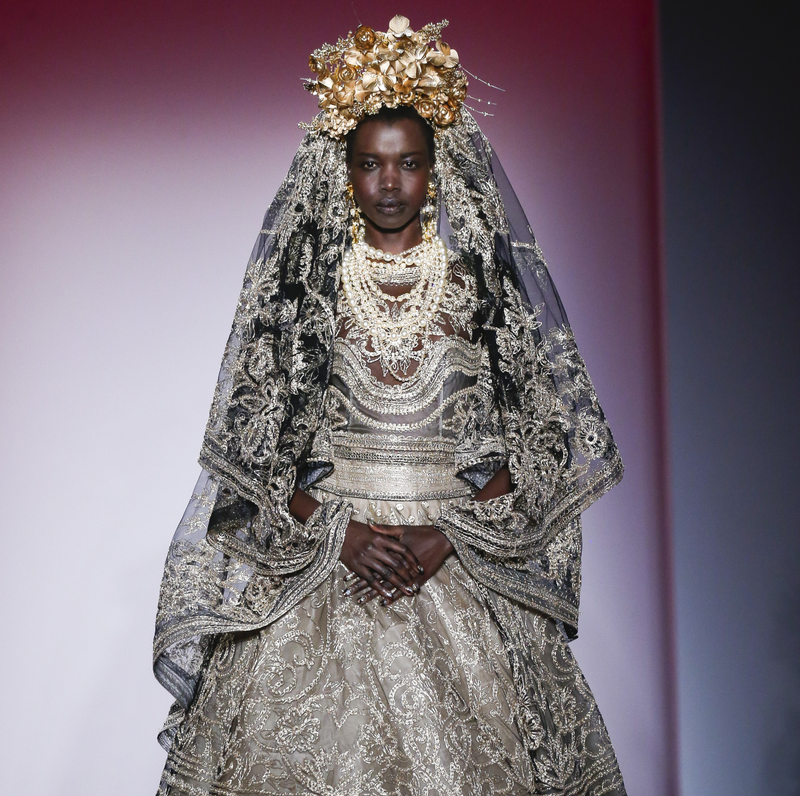 The designer told a reporter backstage that the collection had a world view, with influences from Poland, India, the Middle East, and, in the case of the final look, "a goddess from Spain....It was about diversification, because what makes this world a beautiful place is diversification." 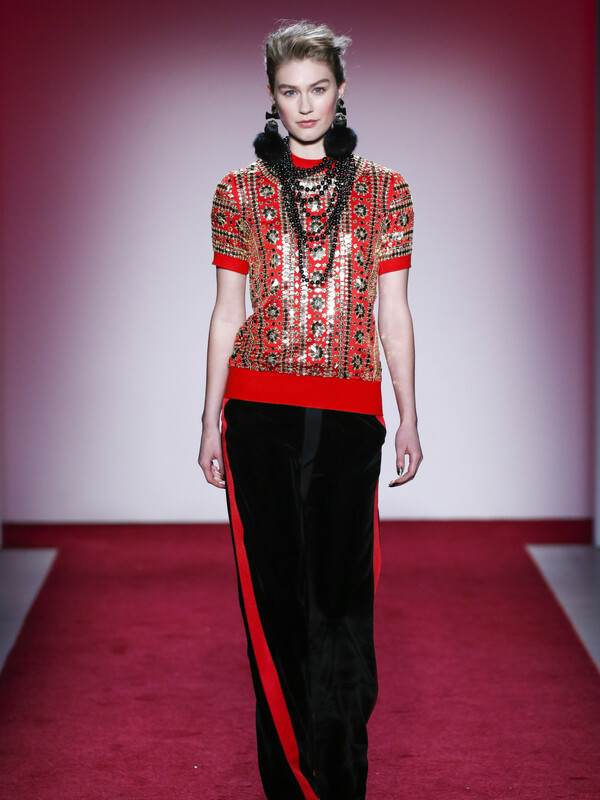 Many looks were accessorized with statement jewelry designed by Khan’s wife, Ranjana Khan. 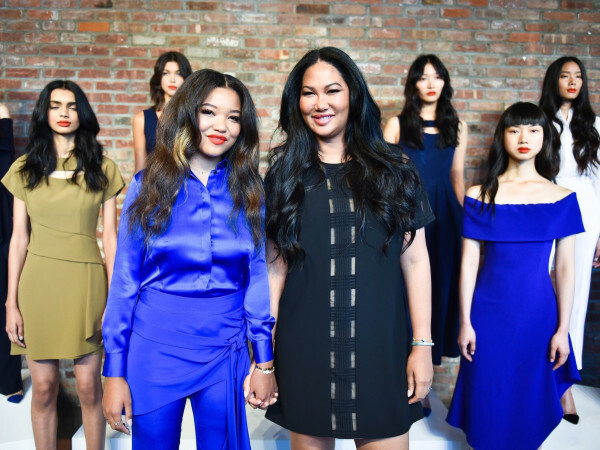 The collection will be available in Houston at Elizabeth Anthony.